The steam generated in the boiler is expanded through a condensing turbine which is coupled to a generator through a reduction gear. 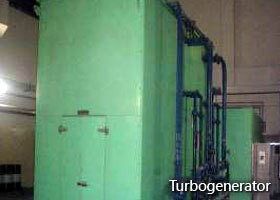 The turbogenerator set is rated at 16.3 MW. 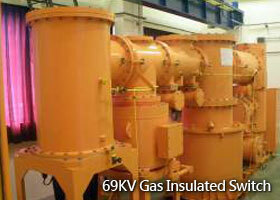 The Plant generator is synchronised with the Taiwan Power Company (TPC) 69 KV grid. Power generated is normally in excess of the Plant consumption. The excess is exported to TPC through the 6.6/69KV transformers. To replenish the losses of steam and water in the boiler, make-up water is added to the system. The make-up water drawn from the City Water Bureau mains is treated to a high degree of purity in a water demineralisation plant.